MaxiProTM should be fed between 0.2 to 0.5 lbs. to cattle in their final rations. 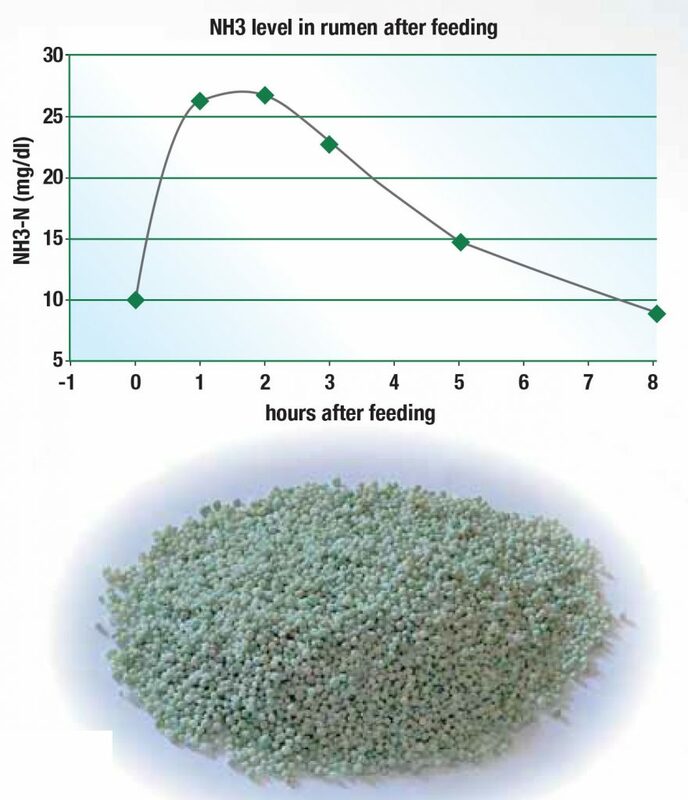 • MaxiProTM feeding rate should not exceed 0.3 g urea/kg body weight per day. • Cattle should not be given free access to rations containing urea. • Non-protein nitrogen content should not exceed 20% of the crude protein in the total diet. 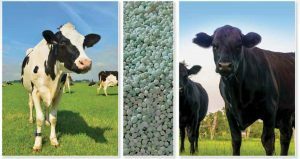 • Non-protein nitrogen content should not extend more than 1% of concentrate ration. • Nutritionist recommendations of feeding non-protein nitrogen sources should be followed. DIRECTIONS MUST BE FOLLOWED CAREFULLY! of these nutrients in a rumen-protected form. Rumination has been well recognized as an essential fermentation that is capable of preparing end-products, particularly volatile fatty acids and microbial proteins as major energy and protein source for the ruminant host. Hence the more efficient this fermentation process takes place, the more balanced the fermentation end-products are being synthesized. An optimal ration between rumen degradation and rumen by-pass ingredients is key to obtain efficient production and to prevent metabolic disorders. A large portion of the protein in dairy diets comes from microbial protein produced by microbes in the rumen. 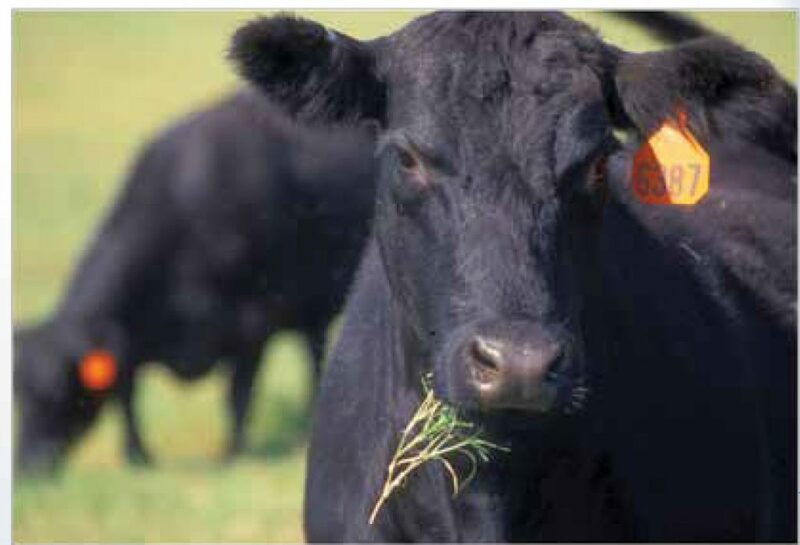 Microbial protein can supply more than 55% of the required protein for a cow. The microbes need sources of Nitrogen and Carbohydrates (energy) available at the same time to produce protein. A few hours after a meal there is a rise in rumen ammonia level, followed by a decrease of rumen ammonia level. supply of nitrogen to the rumen.